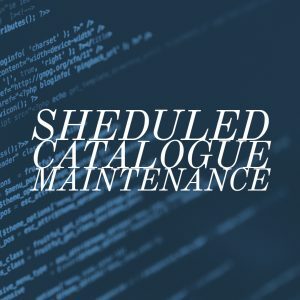 The CUE Library catalogue will be undergoing scheduled maintenance by our service provider on Sunday, April 14 from 8:00 PM to 12:30 AM. During this time, we ask that all CUE students, faculty, & staff use the NEOS catalogue to search for library resources. CUE Library’s databases will be uneffected by this scheduled maintenance. Thank you for your patience as this necessary work is completed.